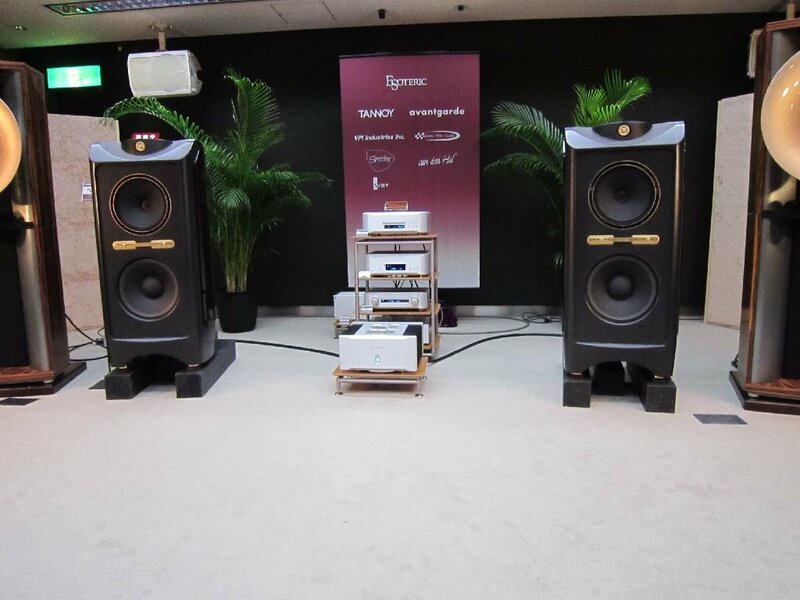 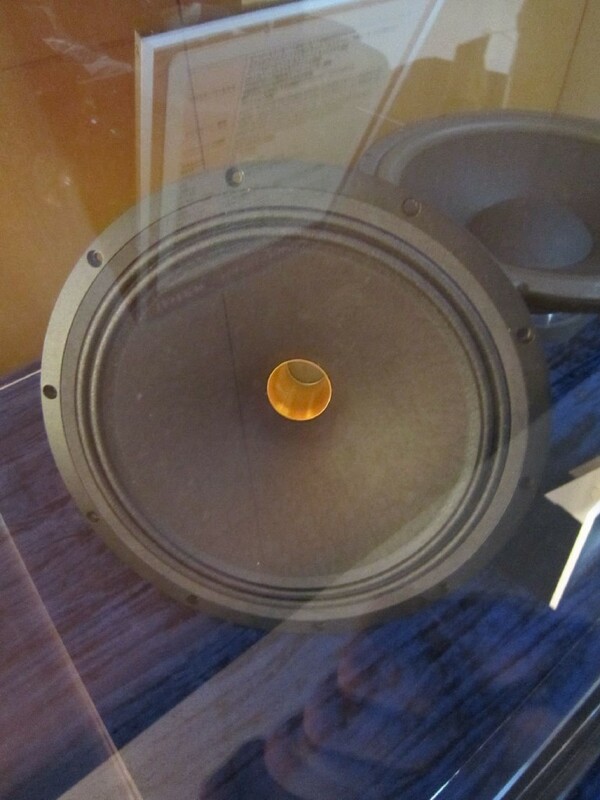 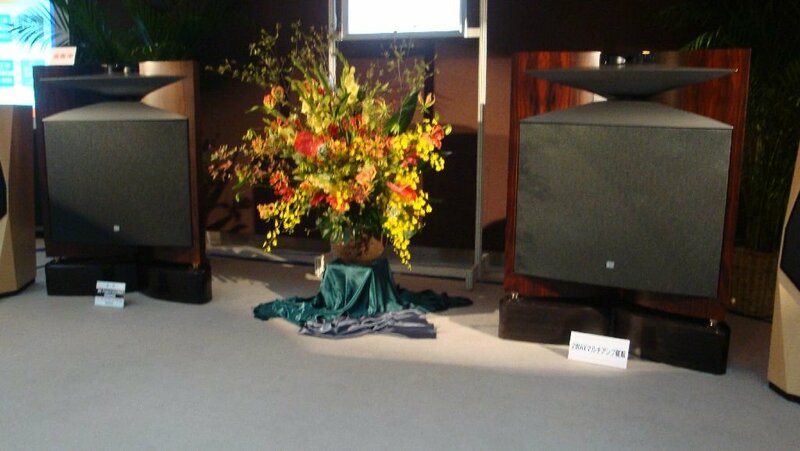 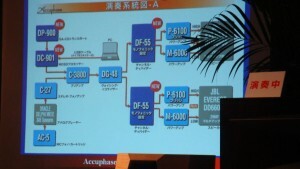 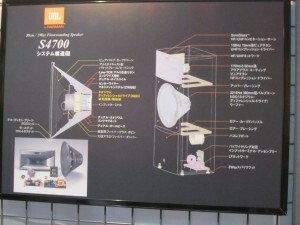 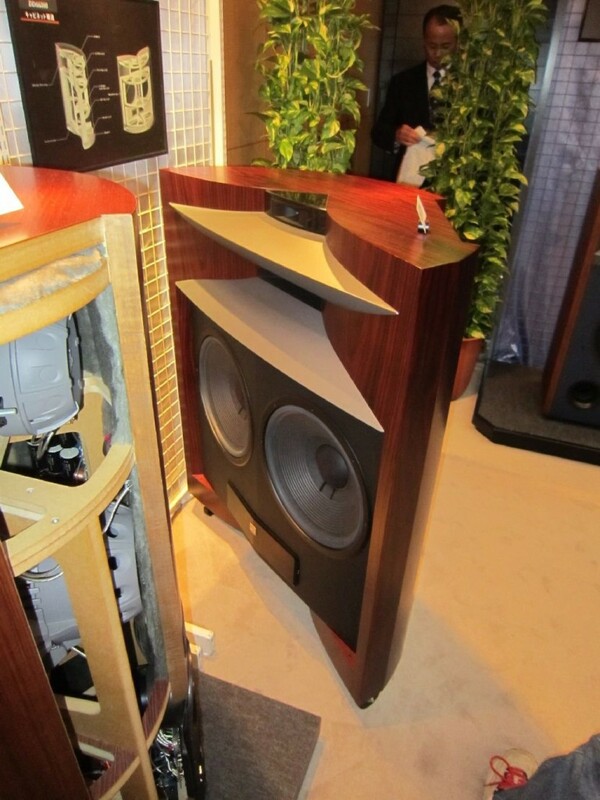 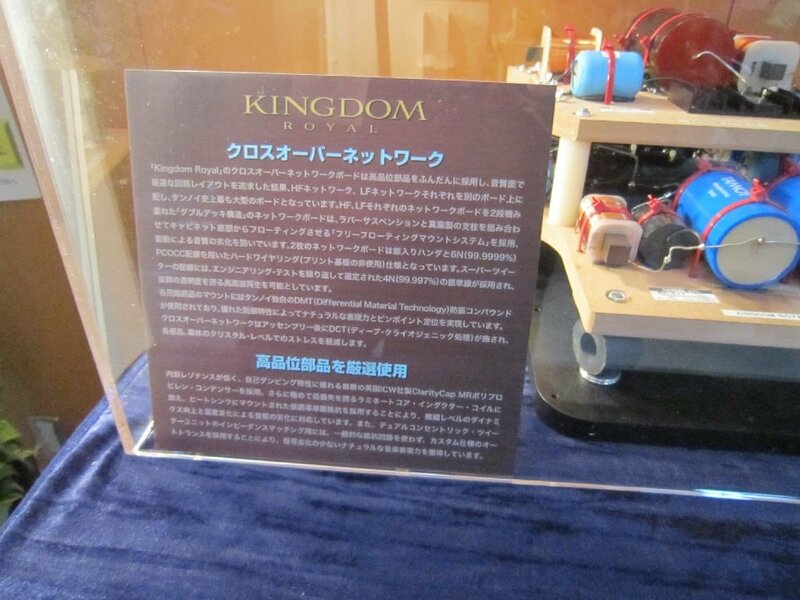 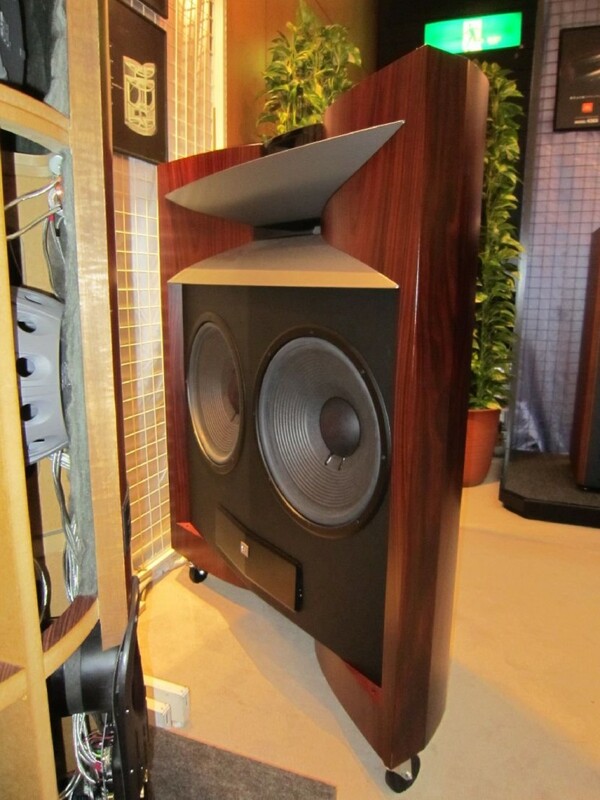 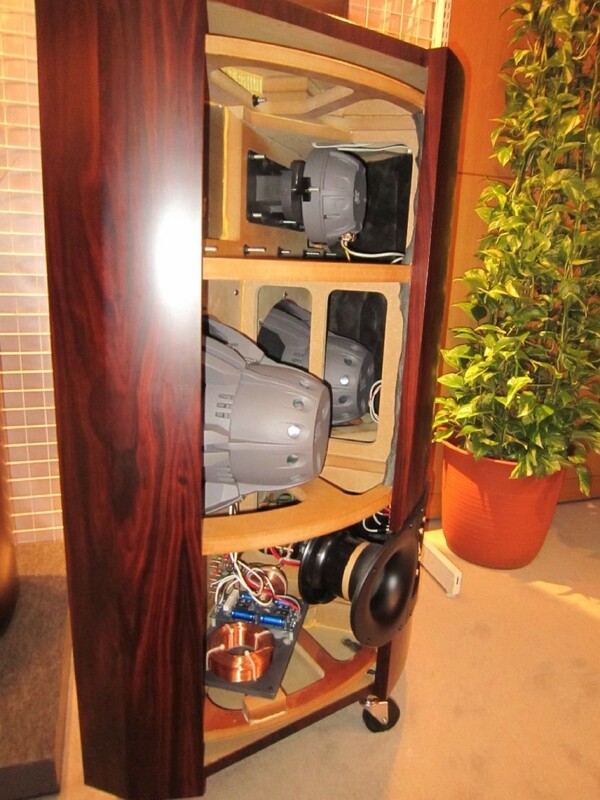 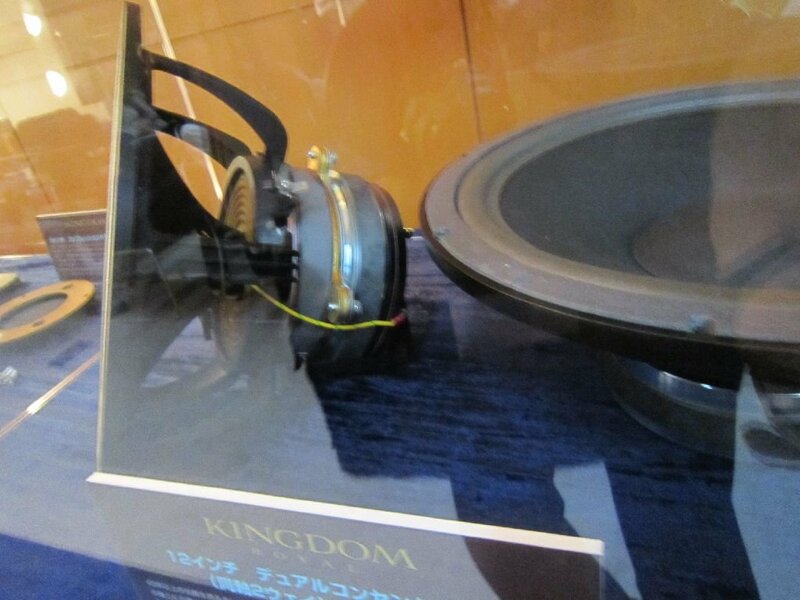 Recently i saw a pair of JBL S4700 in shop being sold and i remembered these speakers performing at the Tokyo International Audio Show in 2011. 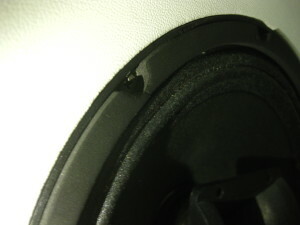 I remembered i liked them alot but then again i am very hard to be disappointed by JBL. Here are a few pictures of S4700 showing crossover and driver placement. 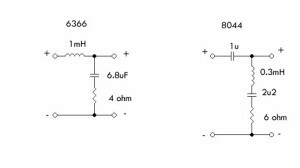 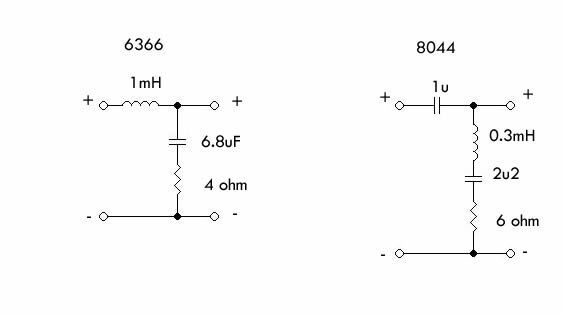 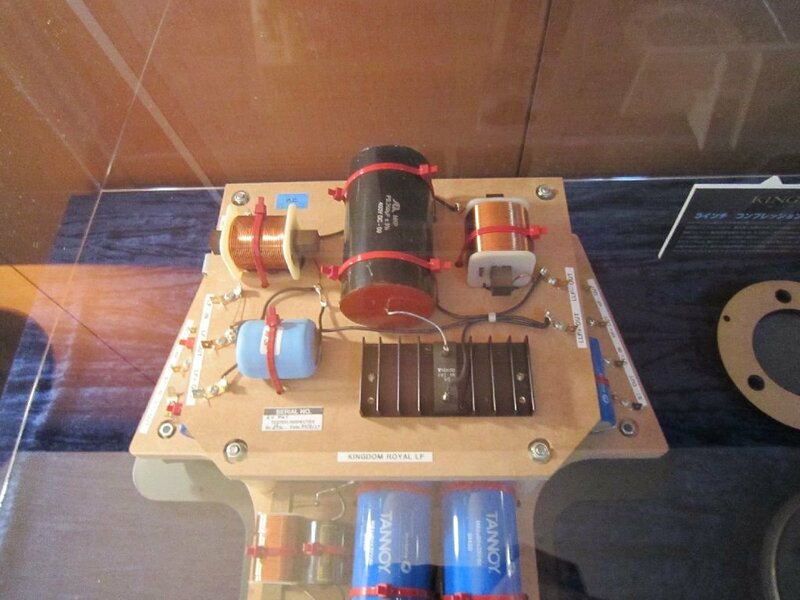 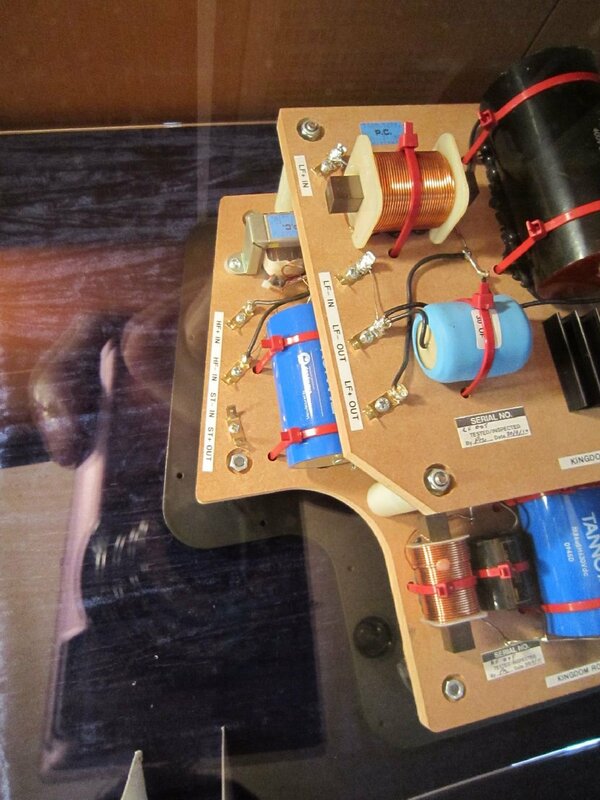 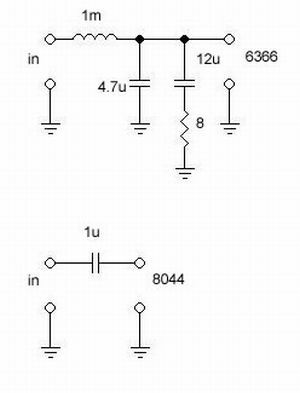 As you can see JBL is not shy to using electrolytic capacitors where sonic differences are negligeable but uses only air core inductors. It is in a way logical to think that series elements will affect sound a lot more than parallel ones. 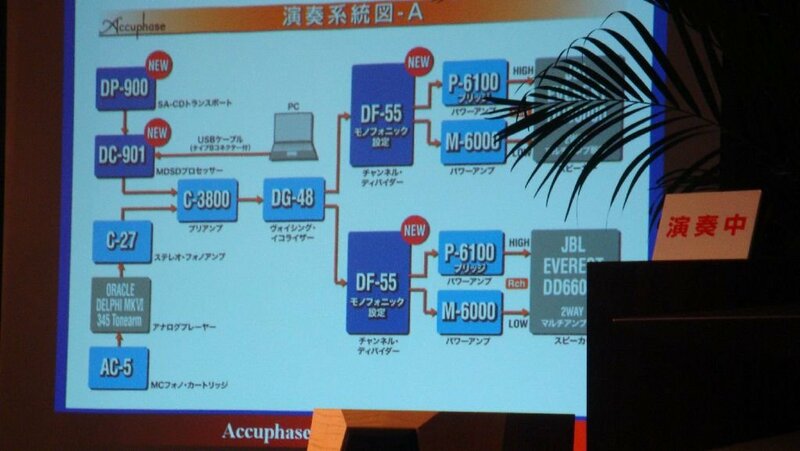 In any case S4700 sounds great. 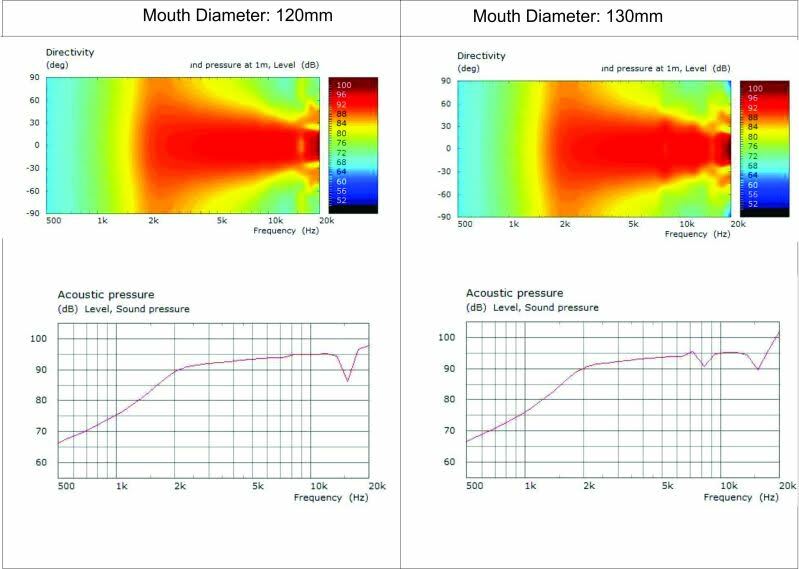 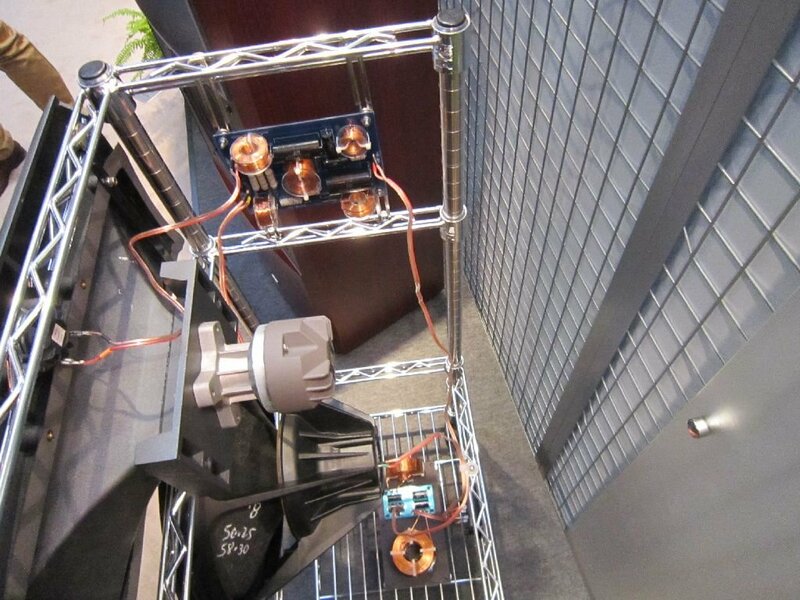 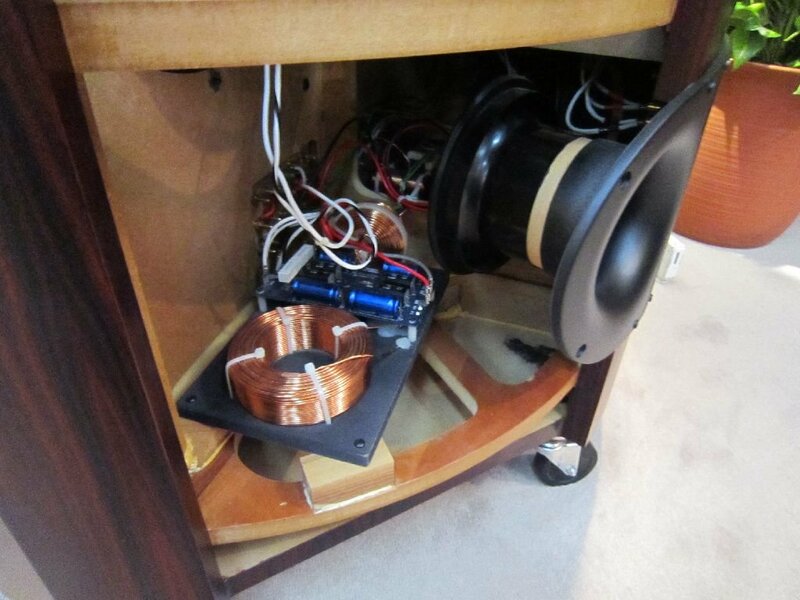 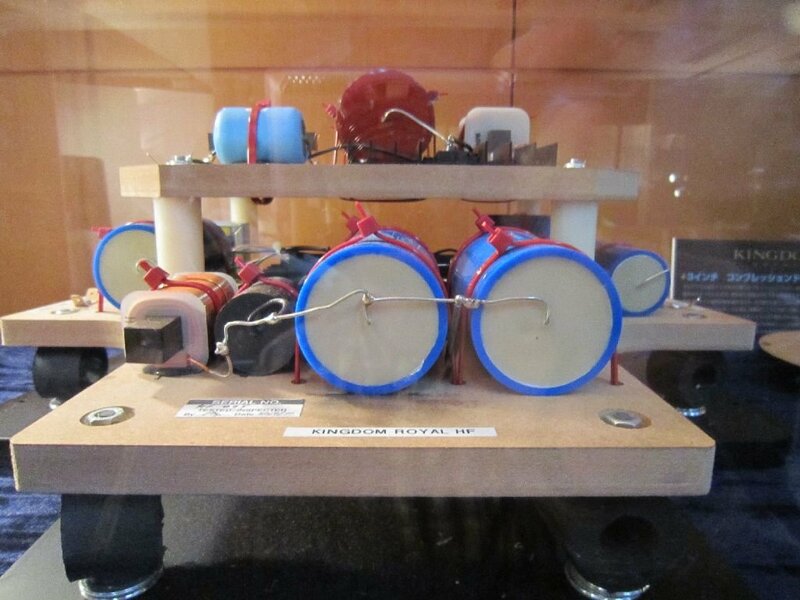 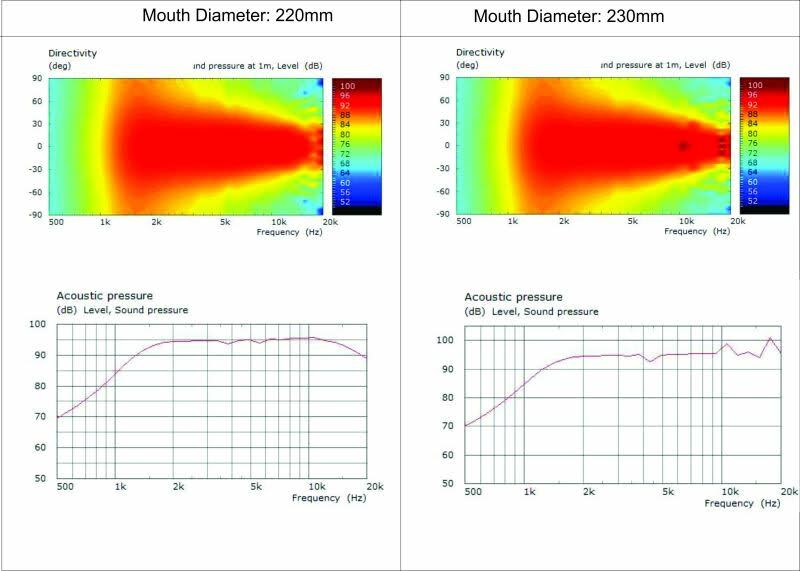 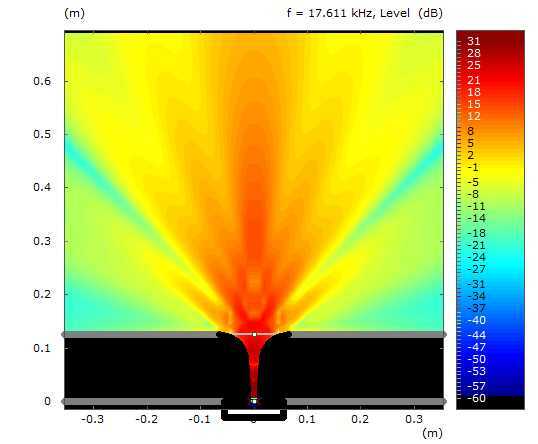 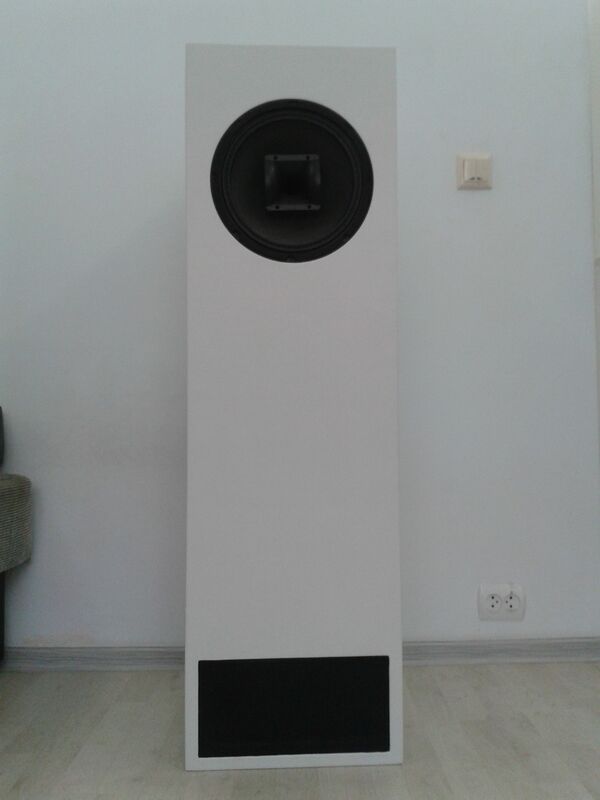 This project began with the desire to create compact loudspeaker capable of high output, high resolution, a wide dispersion and good low frequency reproduction. 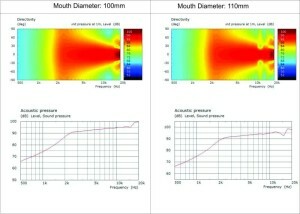 So compact was the first criteria, but how much compact could i get? 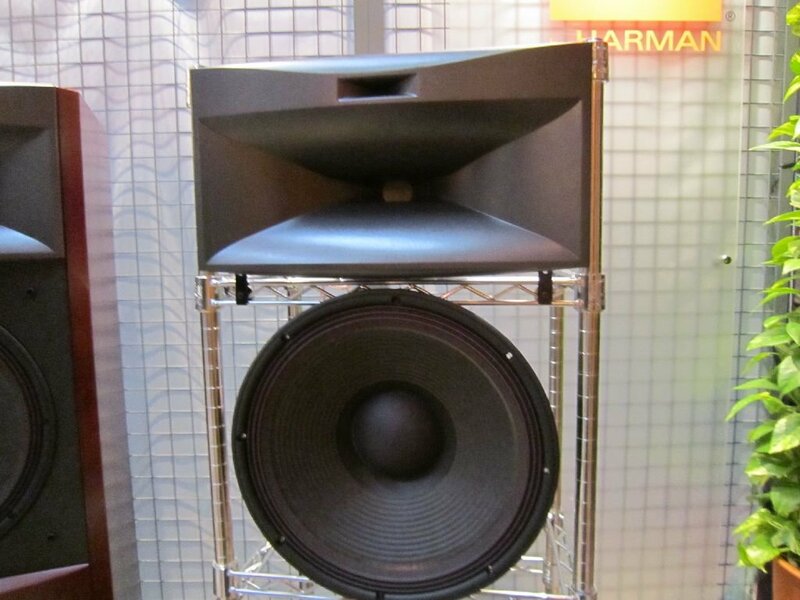 It had to be a ported design and so to get high output and good low frequency reproduction i felt i couldn’t go lower than 12 inch on mid-bass size. 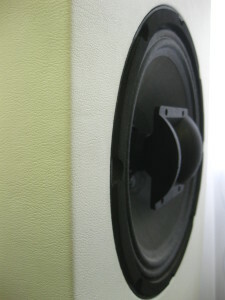 I had my 8402 mid-bass on which i worked with HiPower Audio Co. and it proved to perform very good in small enclosures. 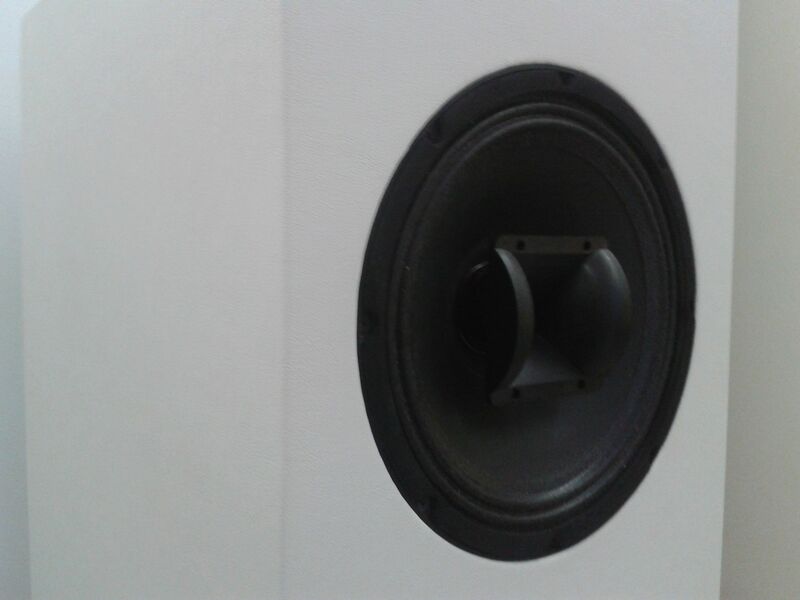 Similar mid-bass drivers who will work well with just slight modification of the crossover are JBL 2206H and Beyma 12LX60. 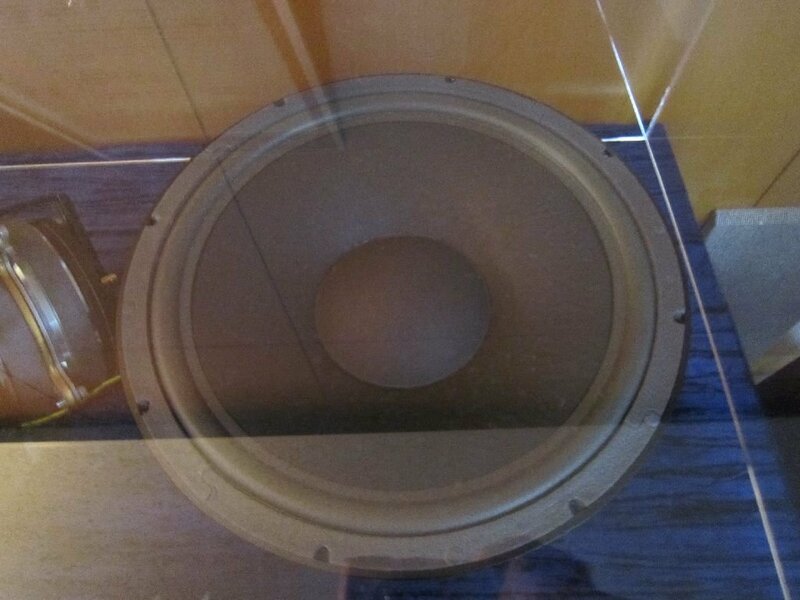 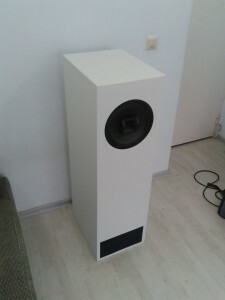 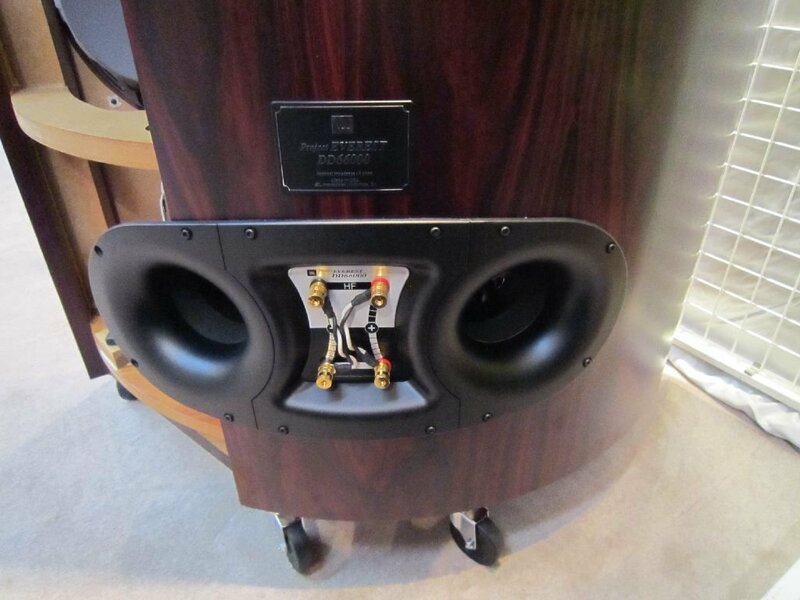 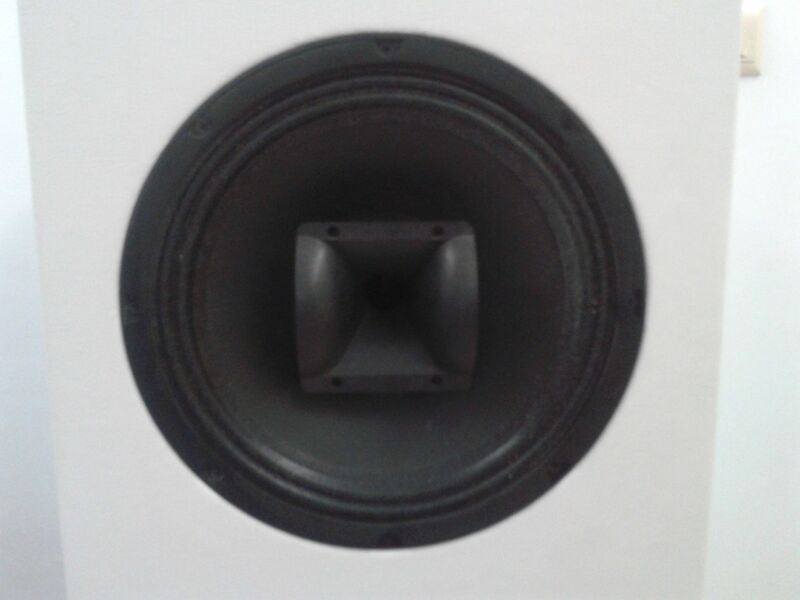 There was also 12LX60v2 from Beyma but that was more suitable for woofer application than mid-bass. 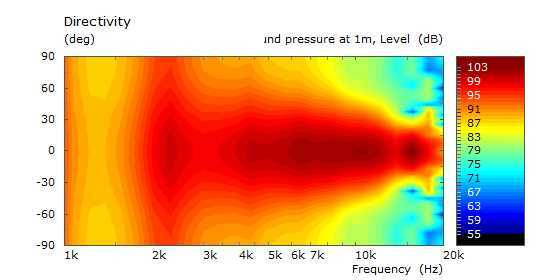 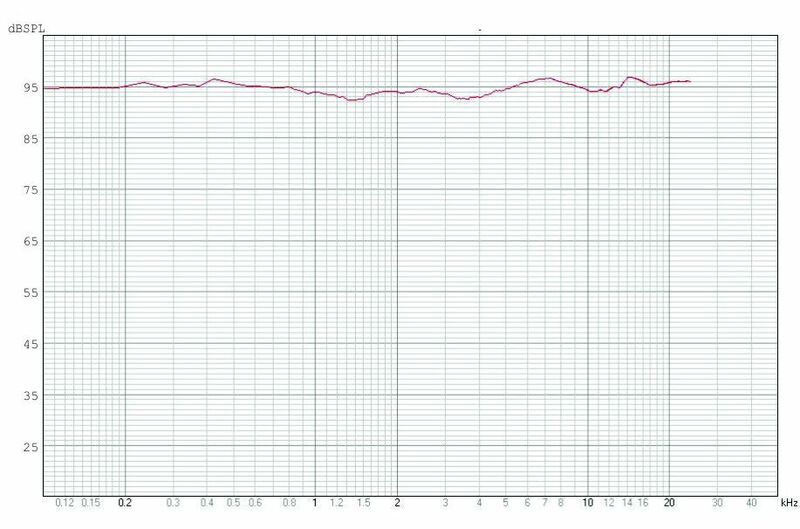 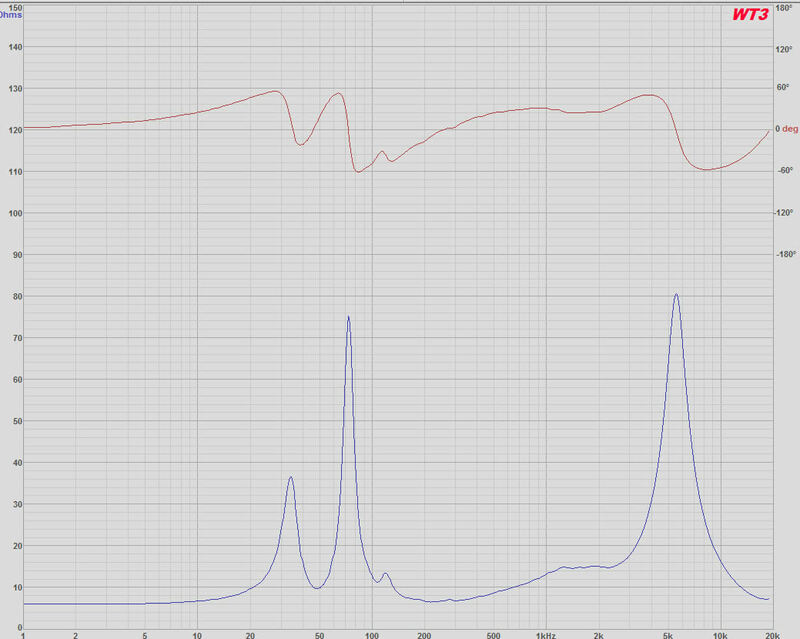 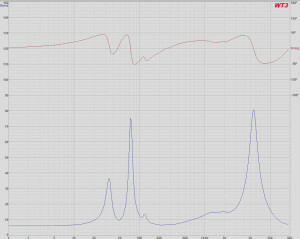 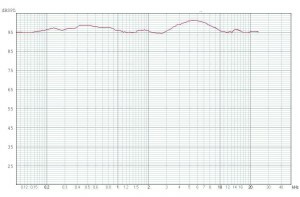 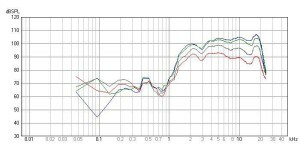 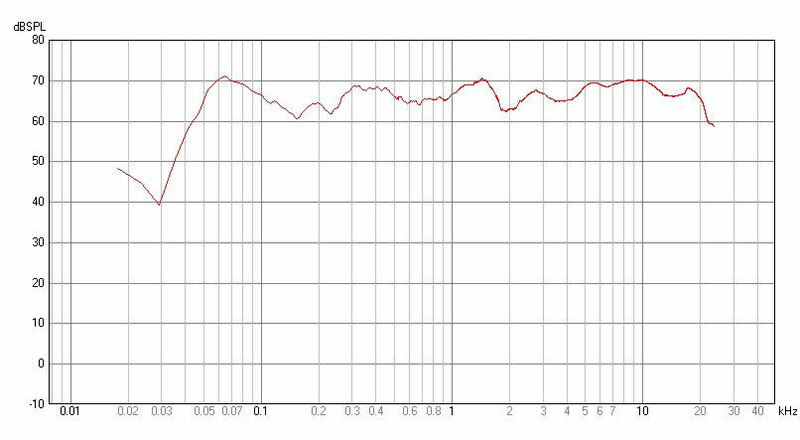 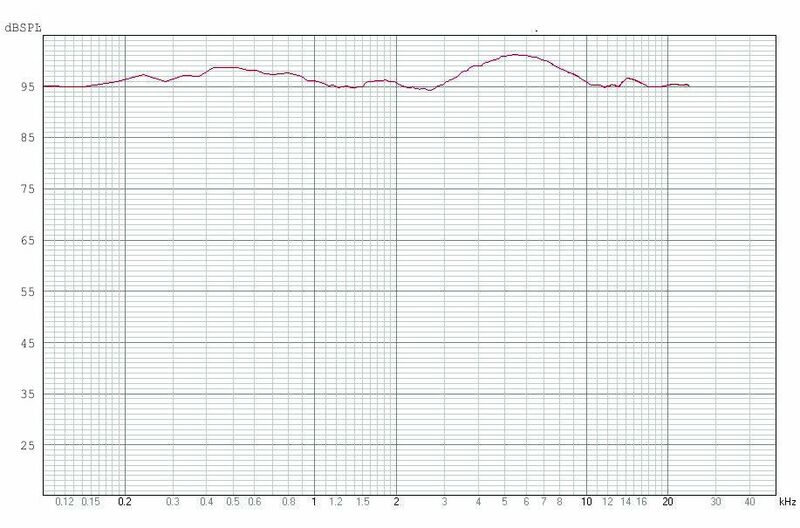 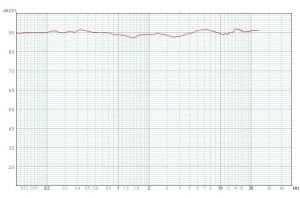 Lets look at the axial frequency response of the 8402 below. 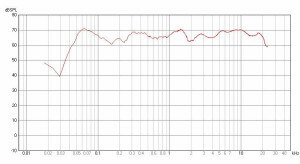 We can see it is fairly linear up until 2kHz and that is very helpful in choosing a crossover point around 1Khz. 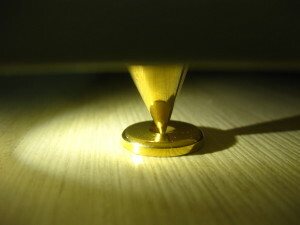 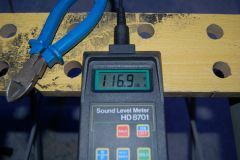 The small upper tilt between 1kHz and 2kHz is also helpful as it can move the acoustical crossover point a little higher in frequency than the electrical one. 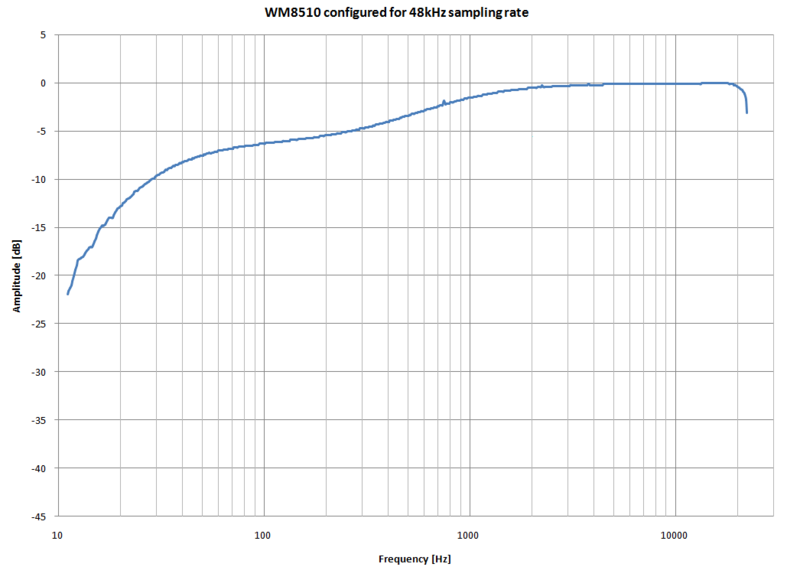 This is something that the compression driver will like. 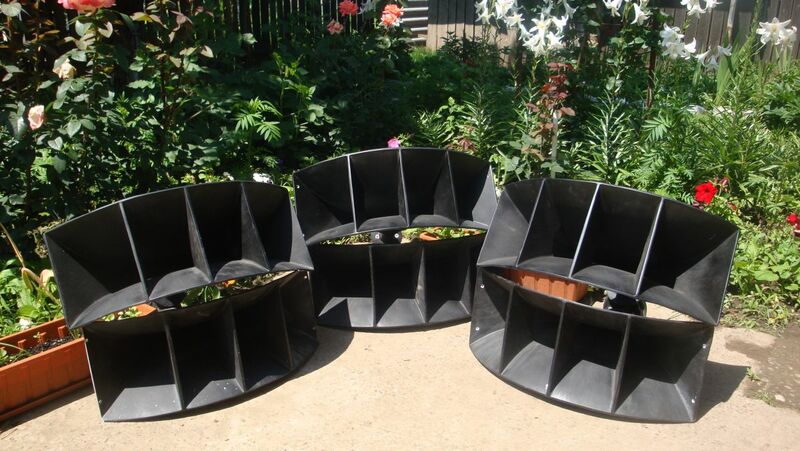 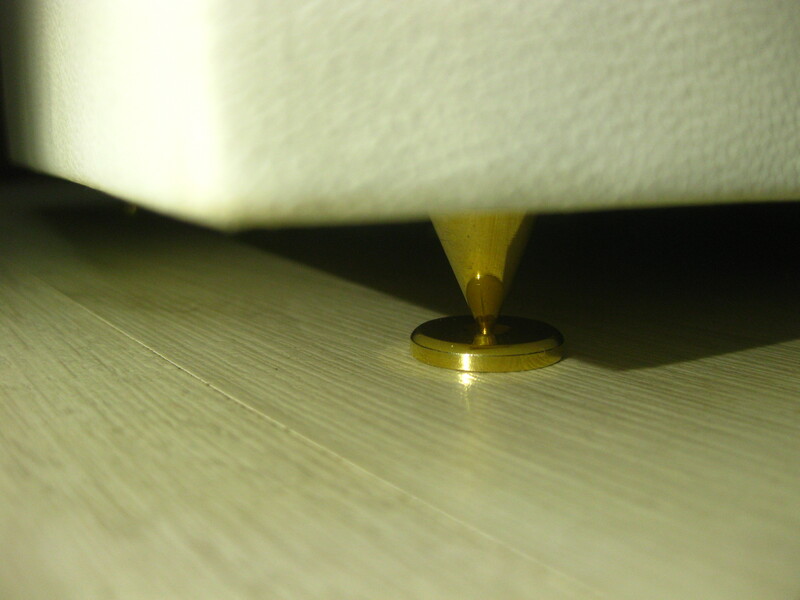 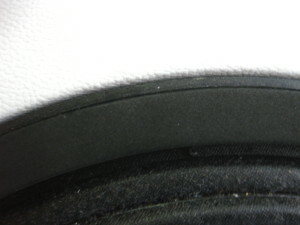 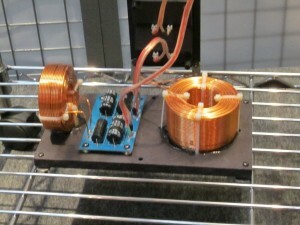 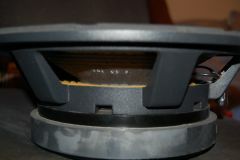 Having a 4 inch voice coil the woofer is sure capable of delivering high levels of low frequencies without much effort. 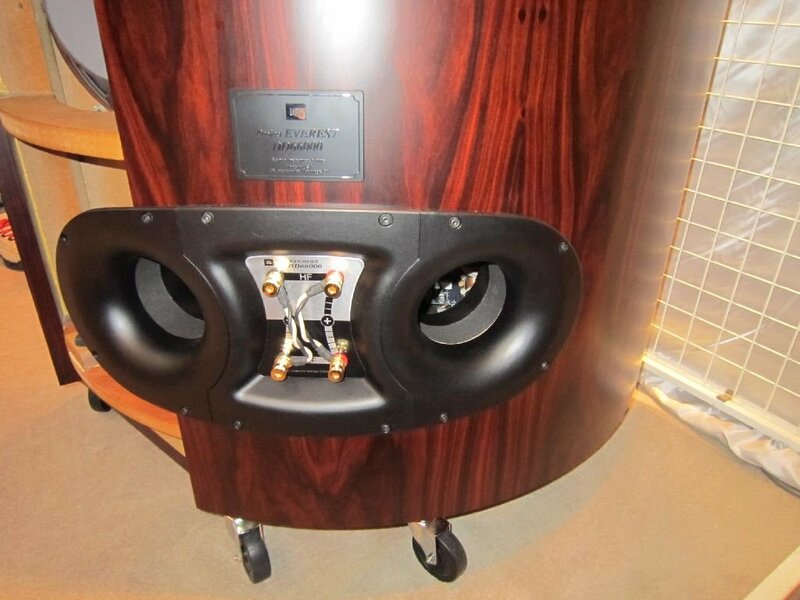 The magnet system is huge and gives this woofer a lot of force. 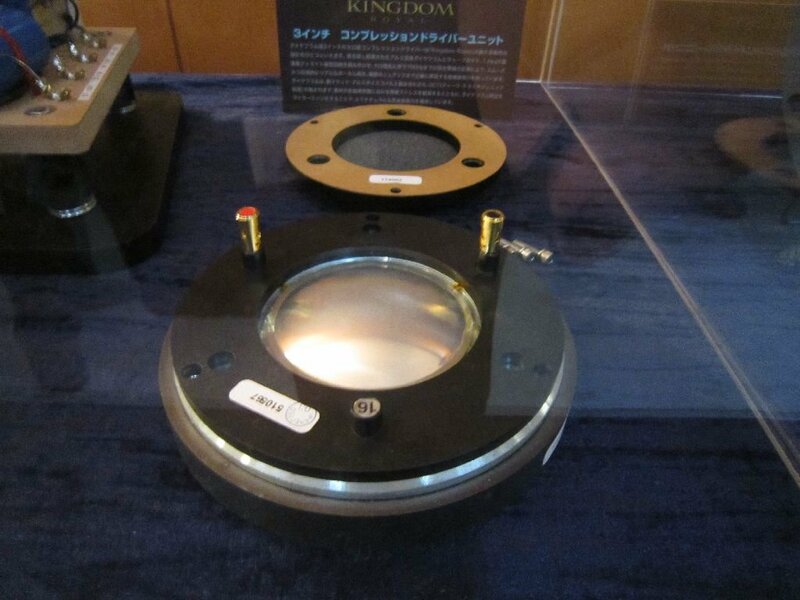 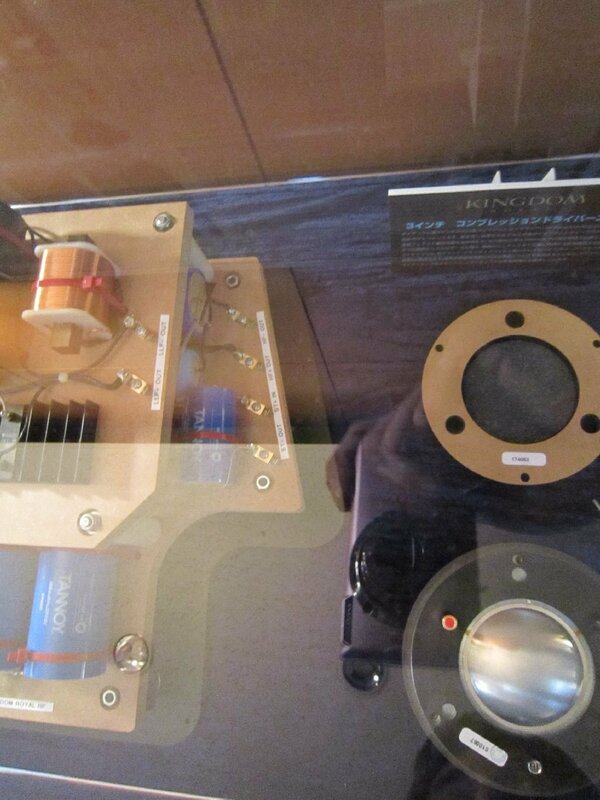 For high frequency reproduction was thinking at first of a 2″ diaphragm 1″ exit compression driver. 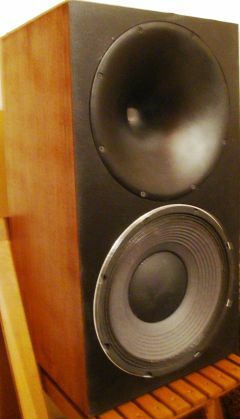 Something like Peavey RX-22 which i used with good results before. But i would’ve needed a supertweeter so a smaller format driver was needed. 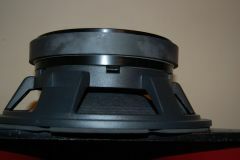 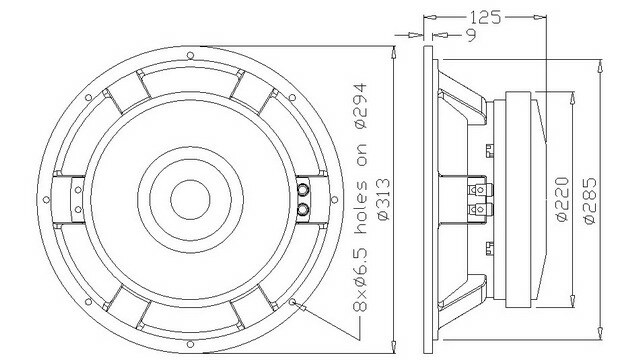 1.7″diaphragm 1″ exit 8044 with modified mylar surround proved to be the one for the job. 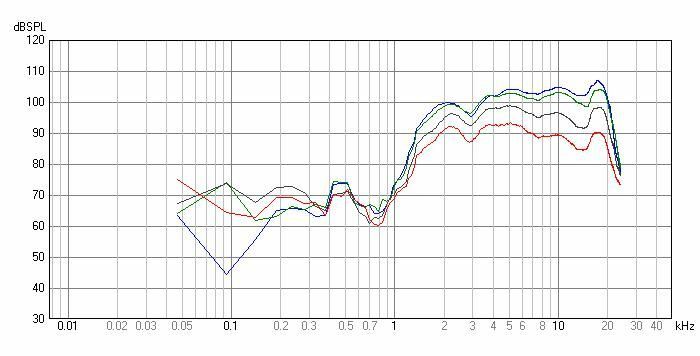 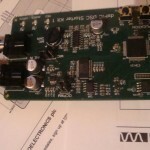 Loaded the driver with a round 12″ tractrix horn and performed a few measurements. 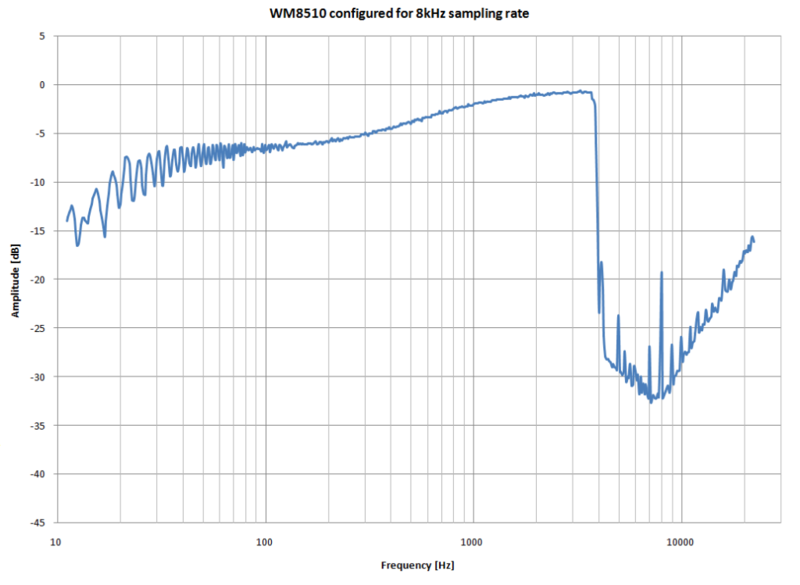 The horn provided a nice boost in the upper midrange, 2kHz region. 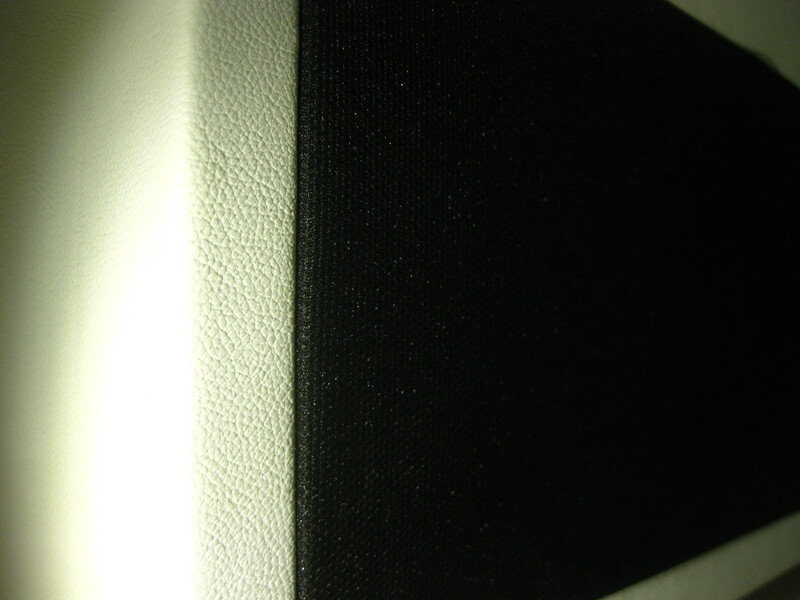 A simple first order crossover was built to equalize the response. 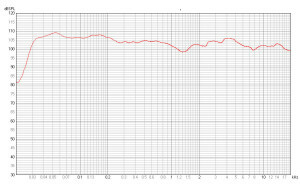 Measurements were done on axis, 30 deg, 60deg, 90deg. 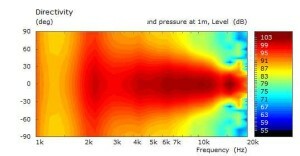 The polar data can be seen in the picture below. 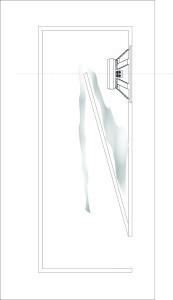 We can see that it has a pretty good directivity to match the mid-bass at the crossover point. 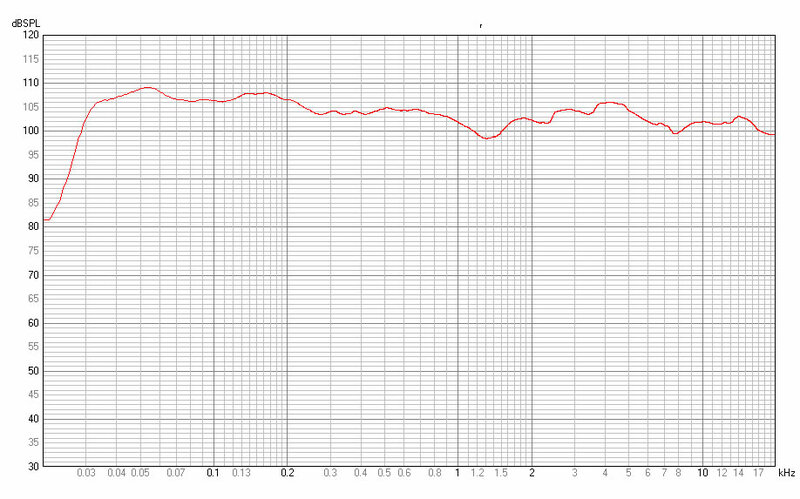 Around 90deg at 1khz and then smoothly narrowing to about 60deg. 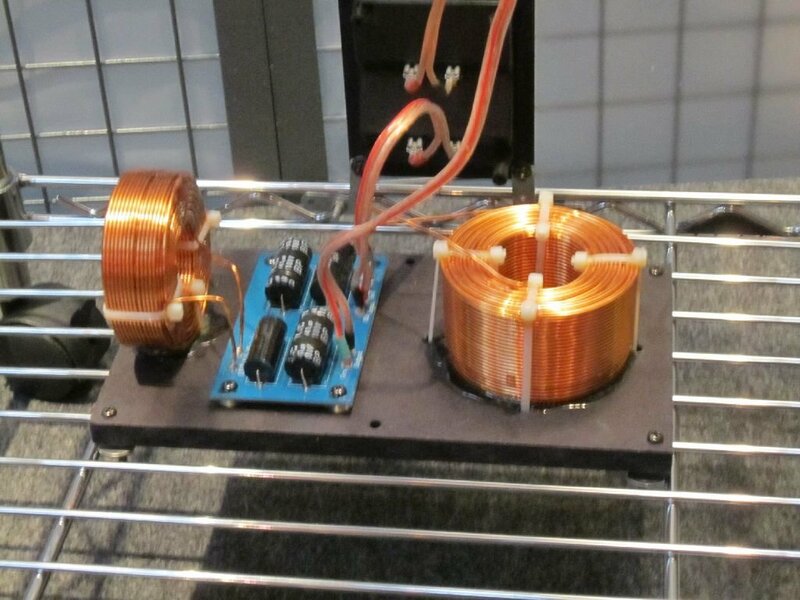 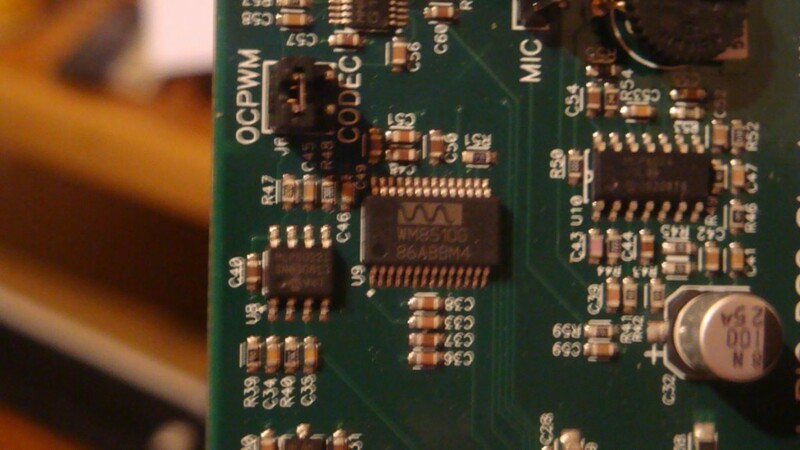 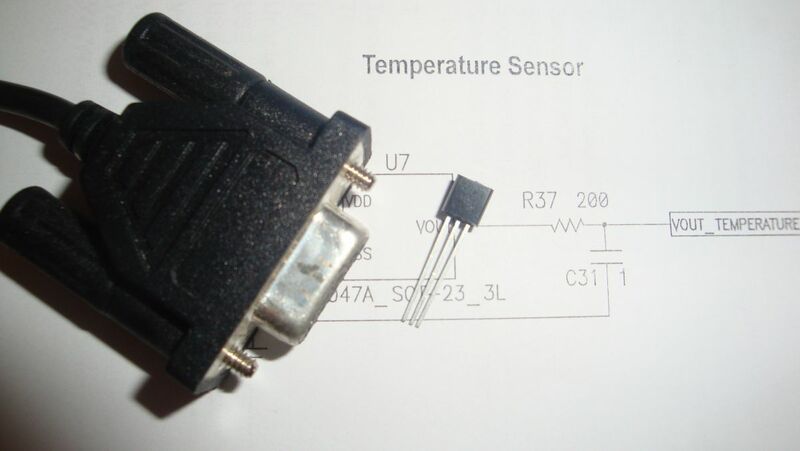 Low pass filter was built with a 1mH inductor and a 4.7uF capacitor. 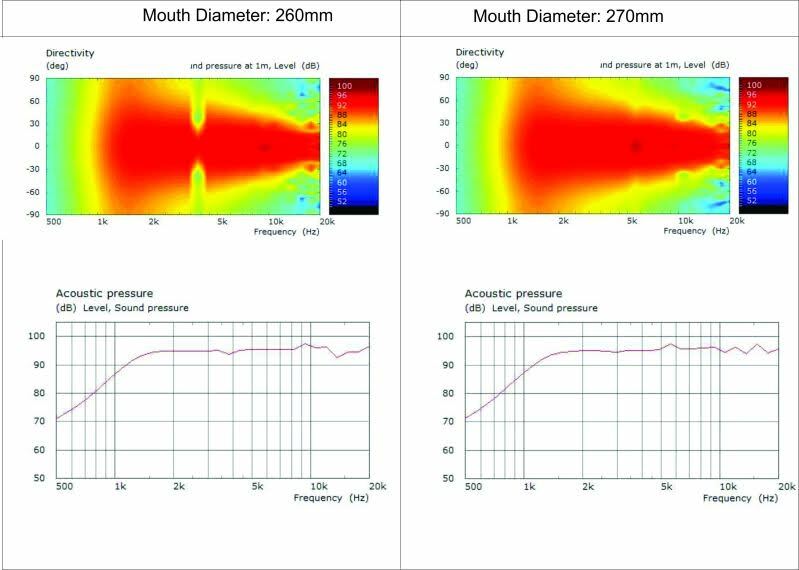 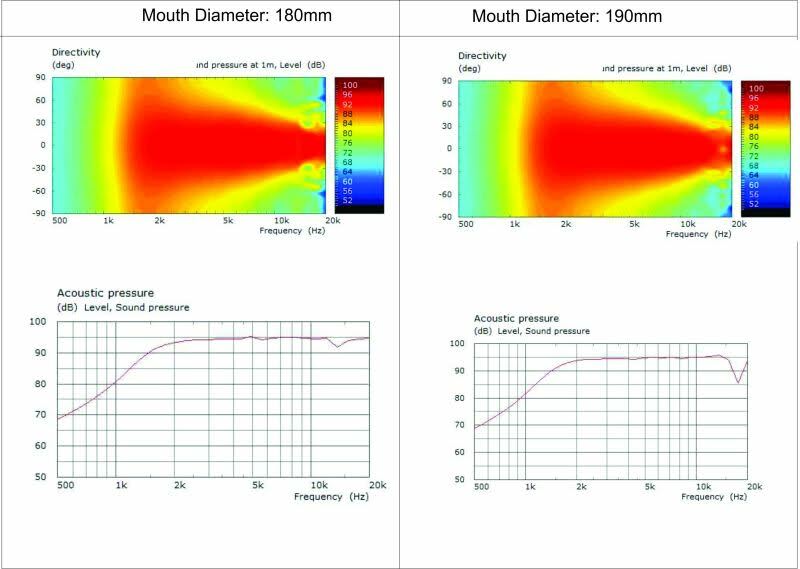 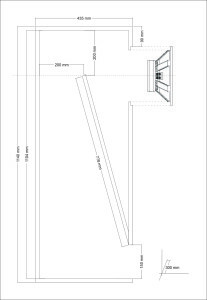 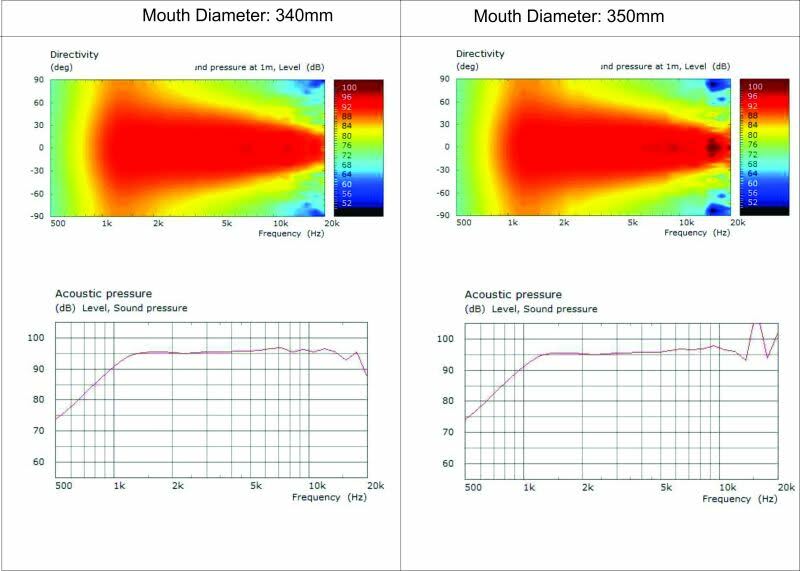 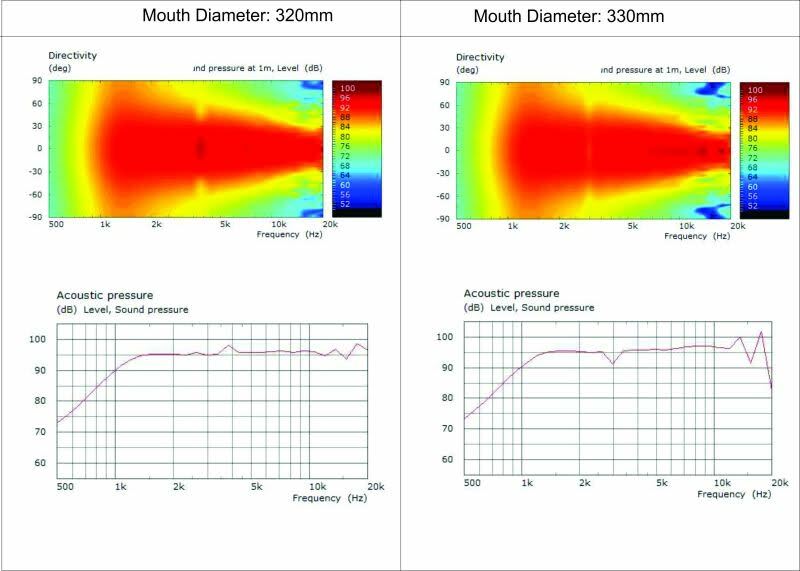 Below you can see the schematic for the high pass section and system’s axial frequency response. 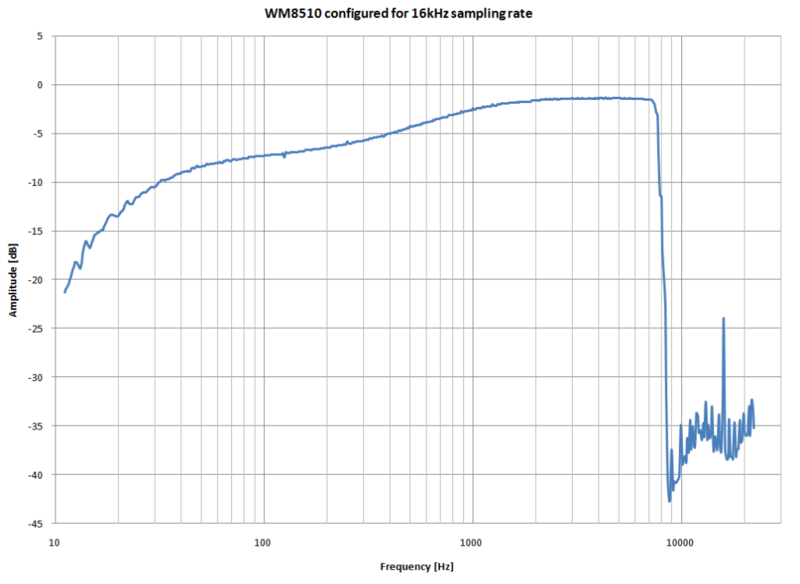 You can see that the end acoustically crossover point is at 1.8kHz. 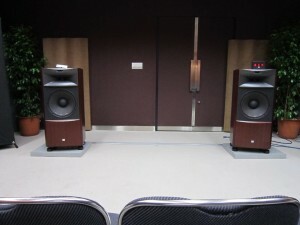 As for sound, the resolution is great, very detailed but neutral. 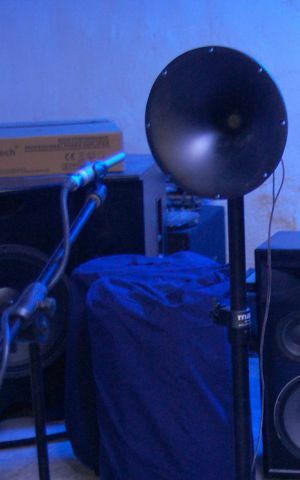 It has tremendous impact and dynamics, the drums on “More blues” from Pink Floyd or “The four horsemen” from Aphrodite’s Child simply jump at you. Tests were done with EL84 SE, 6p3s-E PP and a 5kW professional amplifier. 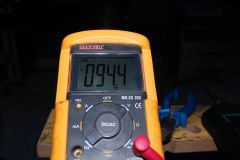 Short term power at input when tested was close to 1100W, the amount of output at those power levels is extraordinary. 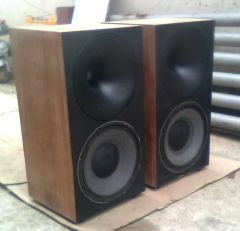 I planned on doing more measurements and tests but the project was sold very fast. The owner seems to be very happy with these speakers and i thank him for his interest in my design.